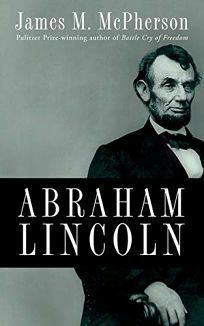 Pulitzer Prize-winning historian McPherson (Battle Cry of Freedom) contributes to the slew of Lincoln biennial books with this succinct biography, weighing in at a lean 70 pages (plus notes), that delivers gracefully on McPherson's promise to capture ""the essential events and meaning of Lincoln's life without oversimplification or overgeneralization."" McPherson is a precise writer with a masterful command of the subject, guiding readers through the evolution of Lincoln's thinking on race, his lifelong struggle with depression, his improbable rise to political power, his anguish over the breakup of the union and his determination to see it made whole again. For anyone wanting to fill the gaps in their understanding of the Great Emancipator by the end of President's Day, this efficient account from a noted Civil War scholar is a near-perfect solution.